Is It Better Than Grass-Fed Butter? Ghee has been around for thousands of years in countries such as India and other countries in south Asia. While ghee can be digested, it’s also capable of helping improve the body externally as well, benefitting the body from the inside and outside. It’s even been used topically to treat burns, rashes and to moisturize the skin. Where Did Ghee Come From? While ghee has gotten more attention in the past couple years, this ancient food was first known to be used all the way back in 2000 BC. Butter first became popular in north parts of India, but spoiled in the southern, more warmer parts of the country. This is where ghee is believed to have come from. The southerners needed to clarify the butter (the process of making ghee) in order to keep it from spoiling. Ghee is technically clarified butter. 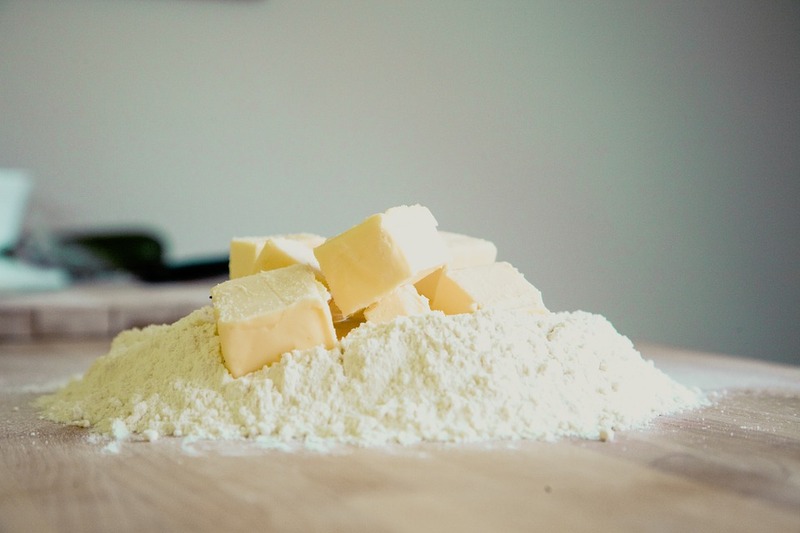 Unlike butter, it has had all the allergens removed so that it contains no lactose or casein. Ghee is rich in short-chain fatty acids, medium-chain fatty acids (MCFAs) and butyrate. Butyrate is a type of anti-inflammatory fatty acid that helps your gut work well. Your gut is capable of making butyrate out of fiber. Butyrate stimulates the conversion of fiber in your gut into more butyric acid, which is important for detoxifying and eliminating fats and toxins. Ghee is way more nutrient-dense than grass-fed butter. It contains 25 percent or more of medium and short chain fatty acids while butter only contains about 12-15 percent. The body metabolizes these two types of fatty acids differently than long chain fatty acids -- which is why they aren’t associated with cardiovascular disease and have actually been shown to be used directly as fuel instead of being stored as fat. Heating oils above their smoke point destroys essential phytonutrients which has the potential to increase free radicals but luckily for us, ghee has as smoke point of 450. In comparison, butter has a smoke point of only 350. Coconut oil has a smoke point of 350 as well. The highest of the healthy fats is avocado oil with a smoke point at a whopping 520 degrees. Ghee is also abundant in vitamin E which plays an important role in improving skin and balancing hormones. Conjugated linoleic acid (CLA) is found in high amounts in grass-fed beef and milk from grass-fed cows. CLA has been shown to help combat cancer, asthma, insulin resistance, inflammation, cardiovascular disease, high blood pressure and high cholesterol. Since ghee is abundant in medium-chain fatty acids, it actually burns other fats in our bodies, leading to improved weight loss. Ghee is similar to coconut oil in that it burns other fats and removes toxins from our system that are known to be harder to get rid of. The high level of butyrate ghee contains plays a key role in reducing inflammation in -- you guessed it -- the digestive tract, but also throughout the rest of the body. Inflammation has been shown to be at the root of many (if not all) of the diseases we face today -- some of those diseases including arthritis, asthma, certain types of cancer, Alzheimer’s, Disease, etc. If you’re starting a low-carb/high fat diet like the ketogenic diet or something similar, ghee may be the perfect addition to your diet. The ketogenic diet in particular actually alters the way your metabolism works -- so that it enters your body into ketosis when it runs off of ketones for energy instead of carbohydrates. Since ghee contains 25 percent or more medium-chain fatty acids or medium-chain triglycerides (MCTs), it is digested quick and easy in comparison to long-chain fatty acids. The more easily digestible the fat is, the more accessible it is as a fuel source. Start with a high quality, grass-fed butter, preferably unsalted. Put butter in a saucepan and set heat to medium-low. Let it simmer for about 20 minutes. Once the butter melts, it will begin to bubble and separate. Put the butter through a strainer that’s double-lined with a cheesecloth -- this will allow the fat to go through but will stop the dairy protein. Whether you’re looking for a lactose-free option, need a higher smoke point or you’re just looking for something new to try, adding ghee to your diet could provide you with multiple health benefits your diet was lacking.